This one owner from new boat is in near mint condition. She has been here in Neyland from day one and all but the first season has been dry stored in the rack and only launched a handful of times for short trips with the family for a spot of fishing and picnics etc. She is very lightly used (only 15 hours!) and has been well cared for. She has such low very hours and has not even reached the first service point, but for the avoidance of doubt she has just had a professional service and all is well. She does not have a road trailer as one has never been needed, however, the asking price does include free delivery to any mainland UK destination. 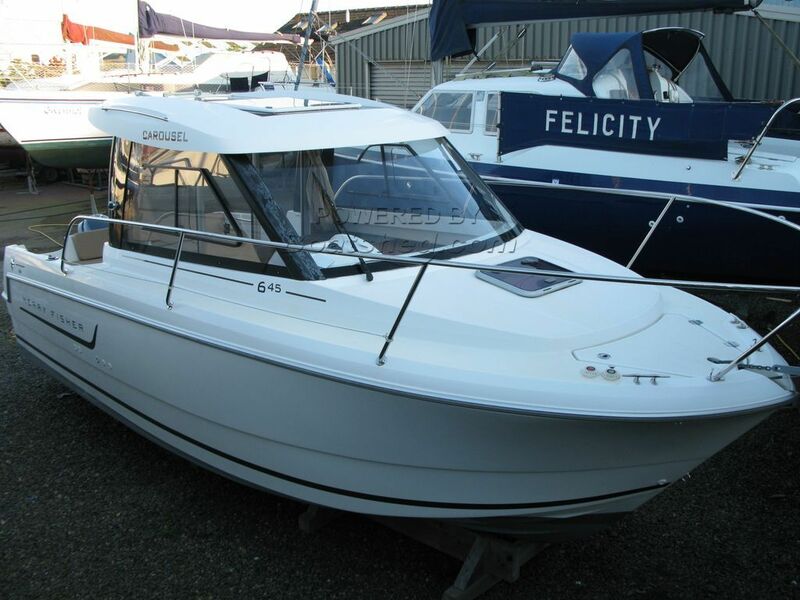 This Jeanneau Merry Fisher 645 has been personally photographed and viewed by Mike of Boatshed Wales. Click here for contact details.